This school-turned-coffee shop offers specialty coffee drinks, non-coffee energy drinks, baked goods, homemade scones, and gluten free options. Join their cup club and have your clean cup ready for you every time you go, and feel free to grab lunch, too. Keto-friendly options available. The Goldsmith Coffee Bar is not located in the Church of Notre Dame but across the street at 22 S. Prairie Street in Chippewa Falls. 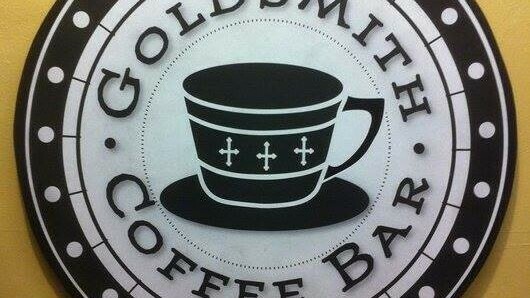 Goldsmith works with the farmer who grows the coffee beans they roast themselves. Almost 100% of the food they serve is organic and they even have a limited selection of gluten free items.